The 22 aged long-legged model turned actress Ireland Eliesse Basinger-Baldwin was born in Los Angles to actress Kim Basinger and actor Alec Baldwin. The blond beauty has an immense love for tattoos as she has mostly got herself inked all over the body because according to her they hold significant meaning to her. 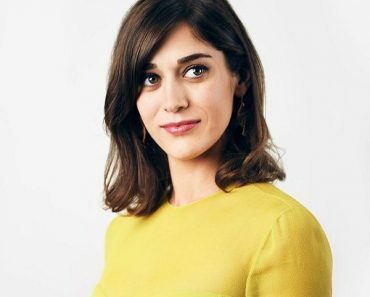 The actress has inscribed a tattoo of a little girl in spectacles who is wearing roses on her hair and eating noodles using a chopstick on her left elbow. It is a fantastic piece of artwork inked on her body. 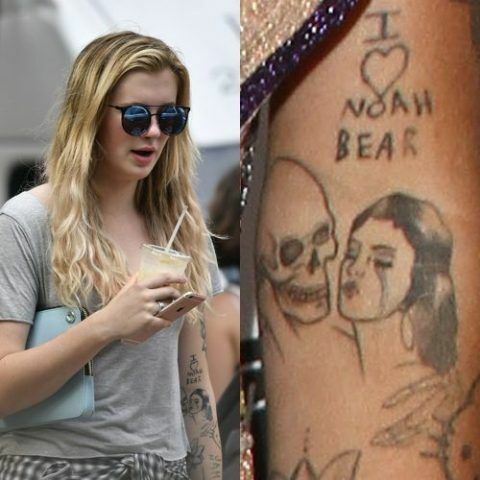 The long-legged model has got her upper left arm inked with “I ♡ Noah Bear” tattoo for her boyfriend, Noah Schweizer. She is never afraid to show the world that how much she loves him! The gorgeous model has her left wrist inked with a word, “Ecureuil.” It translates to a squirrel. Admittedly, this beautiful lady has a soft corner for animals as well! Ireland has inscribed a religious artwork mandala on her left upper arm. Mandala is a spiritual and ritual symbol in Hinduism and Buddhism. It represents cosmos, i.e., the universe diagrammatically. A tattoo of a lotus flower is inscribed on the inner side of her left forearm. The Lotus flower is worn by lovers although it is a symbol of purity and harmony. Ireland has not mentioned the meaning of this symbol. 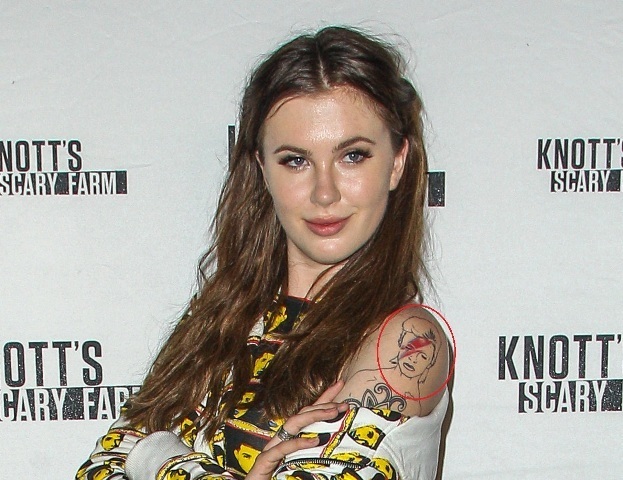 The Fashion model has got the back side of her left upper arm inked with an arrow tattoo. Arrow symbolizes defense and protection from harm. She has not revealed the true meaning of this arrow tattoo. Ireland has inscribed a tattoo that reads, “try a little tenderness” on the left side of her ribs. 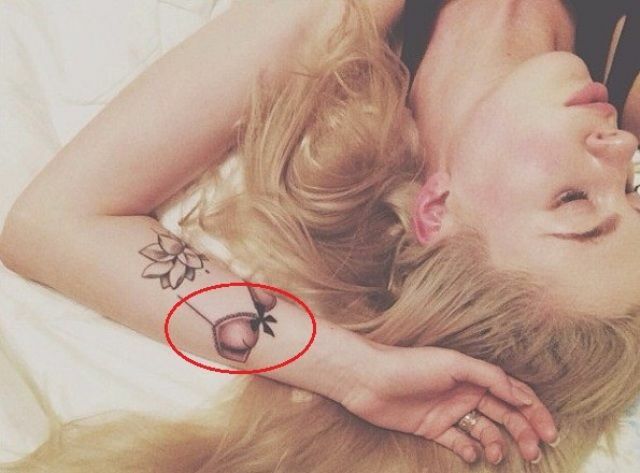 The usual meaning of tenderness means kindness, but the actress has not disclosed the purpose of this tattoo that what it means to her. There exists a hello kitty tattoo on the left side of her forearm. A skull bow replaces the original bow of hello kitty. The Hello Kitty character is a cute character in itself and makes you feel young. Ireland got her last name inked on the side of her middle finger. 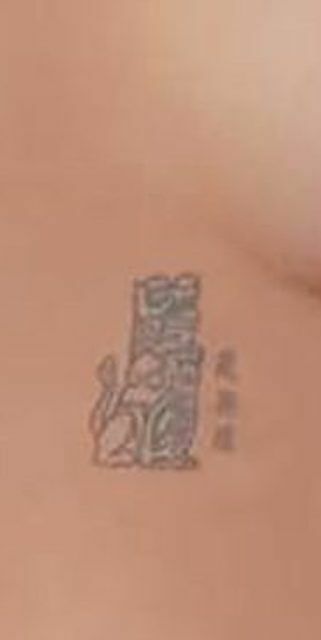 The tattoo is in lowercase letters. 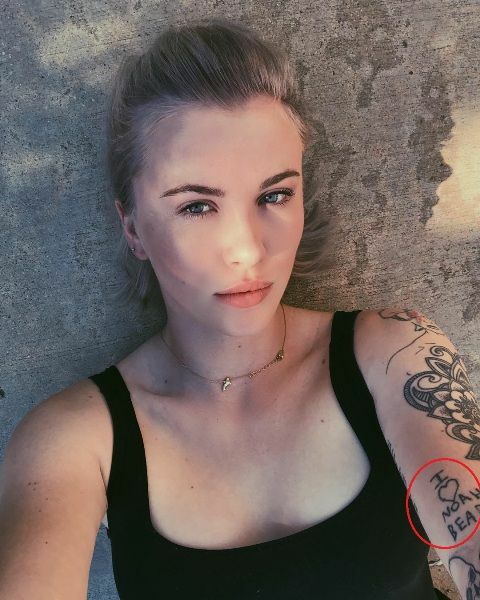 Her younger cousin Hailey Baldwin also has the matching tattoo. The model has the “Here, kitty kitty..” inked on her left bicep in running handwriting. Surely kitty is her favorite character! The beautiful lady has got her left wrist inked with a message stating, “We Can Be Heroes.” Below this message, there exists another tattoo which is a mask. The lady has her left forearm inked with a bra situated in between her lotus tattoo and her mask tattoo. 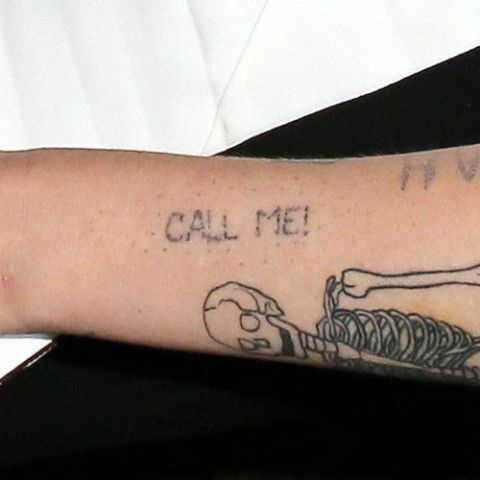 The American actress has inked her left forearm with a skeleton with the message stating, “Bad To The Bones.” She has not disclosed the meaning of this tattoo. The blonde beauty has tattooed the portrait of David Bowie on her left shoulder as a tribute to him. The actress got inspired by his Aladdin Sane cover art and thus got character tattoed on the shoulder. 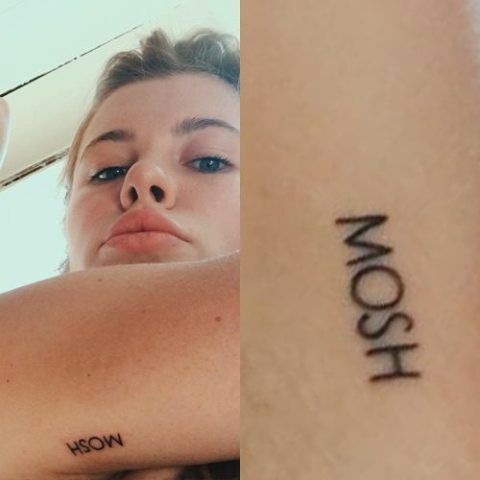 Ireland has inked a word “Moosh” near her right armpit. Moosh can be used as a term of affection for friends and loved one. She has yet not clarified the meaning of this word. 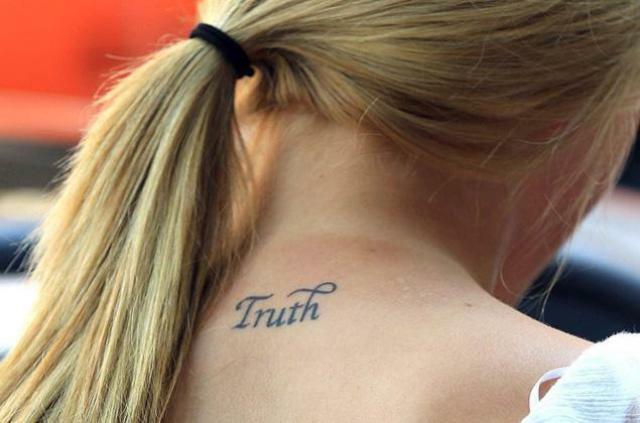 The actress has her nape inked with the word “Truth.” The tattoo shows that she believes in the power of truth. 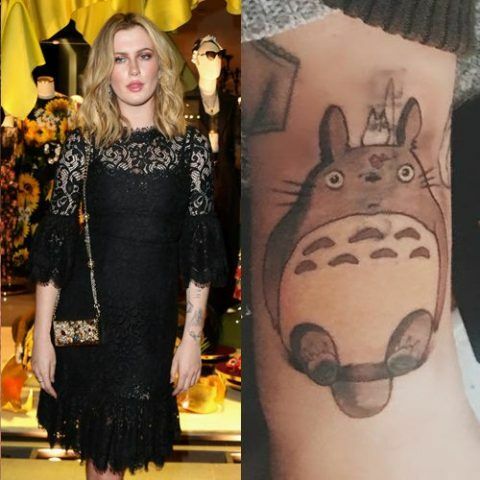 The fashionista has got her left forearm inked with a Japanese cartoon character, Totoro. 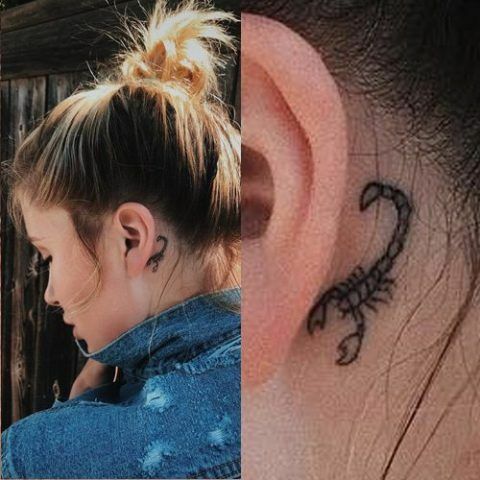 Since the actress is born under the sun sign Scorpio, so to reveal her zodiac to everyone she has inked a scorpion behind her left ear. The actress has inscribed a tattoo on the right side of her ribs. “Kill Bill” inspires this tattoo as revealed by her. 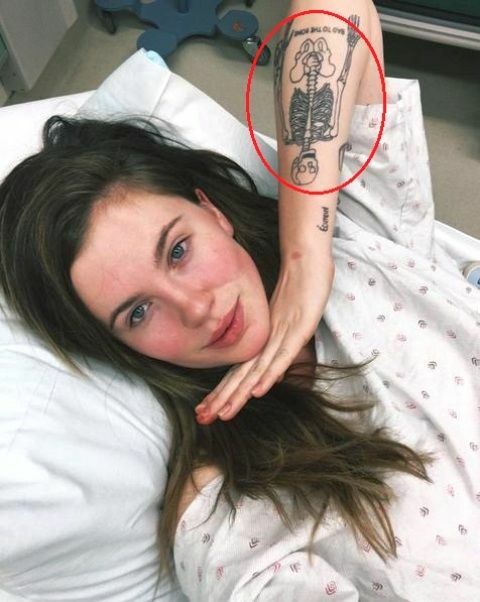 Ireland has an interesting tattoo inked on her left forearm in which a skull is holding a girl by wrapping her shoulder with his arm. She has a very weird tatt inscribed on her left forearm. The tattoo resembles the mouth of a vampire with fangs hanging out! The actress has inscribed the name of God on her left forearm. The tattoo says, “Jah No” which translates to “God no.” Jah, derived from Yahweh or Jehovah is the names of God in Jewish or Christian Bibles.